At that time, I had just graduated from college, earning a diploma in broadcasting, yet was working full-time in a warehouse for a (now defunct) retail chain. Shortly after we moved in together, I was transferred to the head office distribution centre, and was very unhappy there. In the last semester of school, my mother had a stroke which took away most of her vocabulary. These things compounded anxiety about what the future would bring. We were both yearning to change our career paths. I wanted to find a job in my field of study, and Susan was looking to get back into design. And yet, amidst all this internal conflict, this was also a ripe time for discovery. We had silently made a pact, that if we were limited in changing our professional lives, we would do everything to make our personal lives rich with culture. We would explore the city with our newfound jazz crowd, see foreign films at rep cinemas, and spend her Sundays off going to galleries or similar things. And more relevant to this blog, this was also the time that I first had cable since moving back to the big city. As a result, I quickly obtained a lot more culture from the Bravo and Showcase channels (which would encompass most of my television watching for two or three years). For this viewer, these two channels were especially significant on Friday nights. The “Fridays without borders” monicker used by one station could easily have applied to both. Movies from Hollywood Renaissance holdouts who still struggled to do their things in a changing sea of commerce; independent cinema from a time before that term became a catchphrase (or a commodity); obscure British genre films; these were just some of the staples to fill their Friday night schedules well into the wee hours. Because these specific films spoke most to my bohemian sensibilities (and still do), they offered a perfect way for me to shake off the work week, step back into my own skin, and seek enlightenment in other ways. This is why, when I think back to those days, memories of these Friday nights soon appear. These thoughts also persist because I find myself in a similar quandary: wondering once again where I go from here. I've spent too long toiling on others' dreams; my subjection has clouded my own pursuits and desires. It's time to re-visit and re-shape my own, and to once again embrace the things that define me as a human being. No one is opening a door. I'll carve my own entrance. This school of thought is partially why I've decided to get back into publishing within the next few months. Plus, this mindset has also indirectly inspired my desire to recapture the spirit of those old Friday nights. This little eclectic screening room of my own plays to an audience of one: something I've called "Fringe Fridays". On the Friday nights that I'm not out galavanting, I've been symbolically shedding the other skin by visiting the cinema that speaks most personally to me at present. Fringe Fridays include (but are not limited to) renegade Hollywood Renaissance-era productions, counterculture cinema, Experimental Film of the 1940s to the 60s and beyond, independent-underground films from the 1980s and 1990s, and documentaries: a step back to days when people had to view things projected onto blankets hung in musty basements as a cry for independence. Fringe Fridays isn't just a screening series: it's a return to the self, a state of mind. It's also the name of a brand new regular feature in the new ESR: a reportage of what we find on those nights. Stay tuned! ￼This is the kind of thing that movie nuts live for. 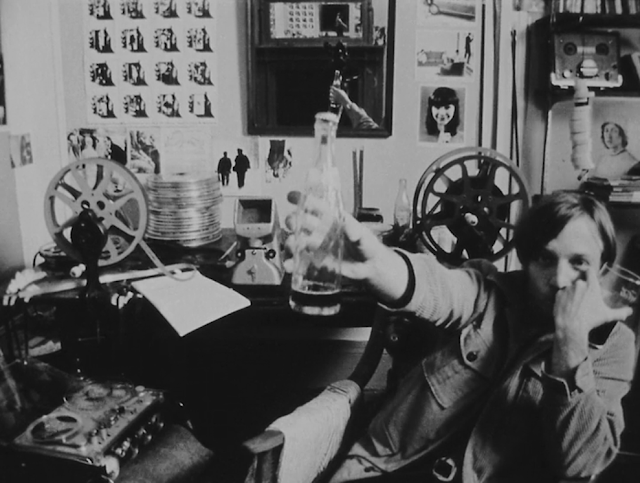 We’re always thrilled by the news of finding films that were forgotten, presumed lost, or, in some cases, previously unknown. 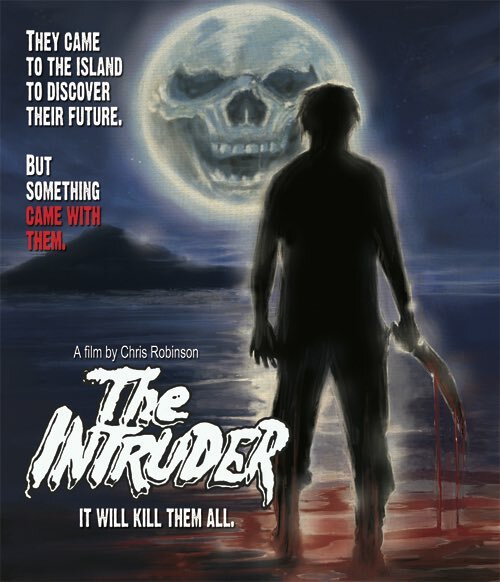 In 2012, Garagehouse Pictures’ Harry Guerro discovered a 35mm print of actor-writer-director Chris Robinson's Florida-lensed thriller The Intruder (1975) in, of all places, a storage unit on the outskirts of the Mojave desert. The film was never released, and for many years, not included on the IMDB, nor featured in any filmographies of its cast (which includes Mickey Rooney, Yvonne De Carlo and Ted Cassidy). This film's Blu-ray release is the latest from Garagehouse Pictures, the newest boutique company releasing vintage obscure exploitation films. They have already secured a reputation for unearthing genre fare that was thought lost, or at least unseen for decades, such as the regional horror comedy The Dismembered (1962). (Their releases of Ninja Busters and The Satanist also were due to that same storage unit.) Future releases on their schedule include not one but two Andy Milligan movies (Monstrosity; Weirdo), and Robert W. Morgan's regional horror film Blood Stalkers (1976). But thrilling discoveries like this beget a tantalizing mystery: What else did they find there? What was left behind, to be lost to film history? All films matter; ideally, everything should be preserved, and made available for those who wish to see it. But in these circumstances, when a film so obscure is unearthed (and in this case, seen for the first time), there lies the possibility of overvaluing its importance. For instance, if The Intruder had been released in 1975, and did its expected run in the drive-in circuit and perhaps on home video, would we still be discussing it? Without all the fanfare surrounding its discovery, The Intruder stands on its own as an unusual, moody film that is definitely worth seeking out. Regionally produced genre films (in the heyday from the 1960s to the 1980s) are especially valuable historical documents of their eras, as they lend a certain authenticity and feel that a glossy studio project would lack. Anyone (like me) who is fascinated by these films would rejoice that The Intruder has been discovered. Like many of the Florida-produced exploitation films of its day, the mysterious beauty of its location becomes a character unto itself. Full review coming soon in the new ESR! Click here to view Garagehouse Pictures’ website. 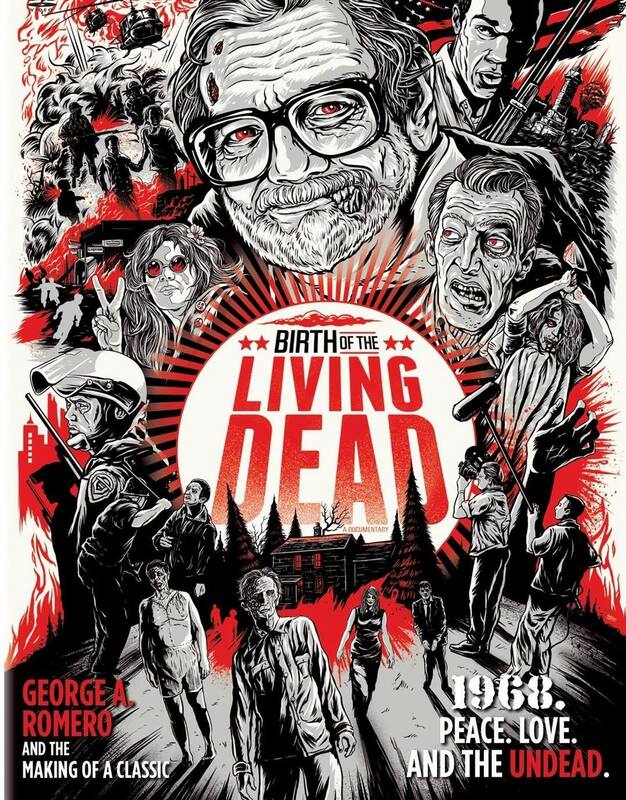 Last night, WNED, Buffalo's PBS affiliate had a touch of the "off beat", as their broadcast of the documentary Birth of the Living Dead was presented by Off Beat Cinema's Constance McEwen Caldwell and Jeffrey Roberts, in character, as their OBC personalities, The Mysterious Zelda, and Cinematic Theologian Theodore. Their appearance was especially a delight for Southern Ontario viewers, who have been deprived of their weekly Off Beat Cinema fix since 2012. The long-running late-night series Off Beat Cinema first began on WKBW (Buffalo's ABC affiliate), in 1993. 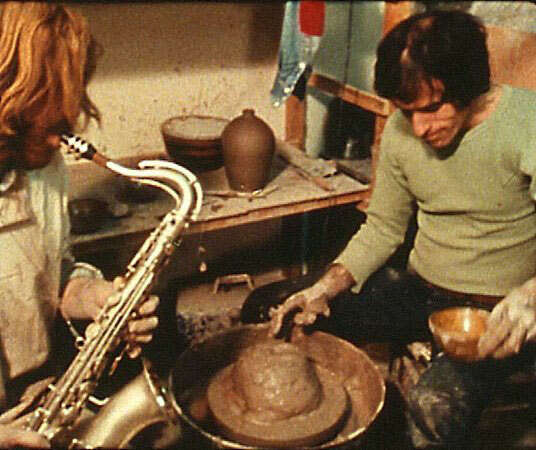 Every week, the beatniks from the Hungry Ear Café would introduce a way-gone B-movie. This show continued to be a fresh antidote for discerning viewers of late night television, as after-hours programming was being overrun by infomercials instead of movies. It represented what the late-night viewing experience used to be, and should be like. In July of 2012, the show moved to Buffalo's MeTV-affiliate, WBBZ-TV, where our favourite hepcats would continue to preach the good word. Sadly, WBBZ has remained unavailable in Southern Ontario, which comprised a generous portion of their viewing audience at WKBW. 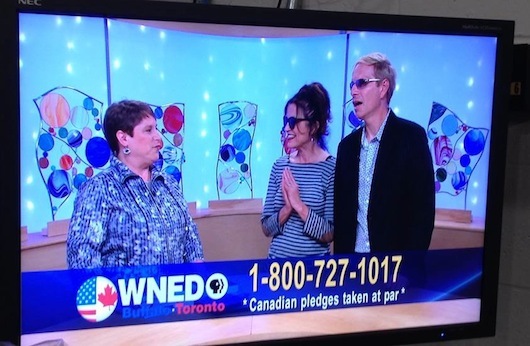 The appearance of Zelda and Theodore on WNED was a welcome surprise for Southern Ontario viewers, in more ways than one. The program wasn't even listed in our television guide. It instead had the documentary Fit To Be King, followed by The Nightly Business Report, in that time slot. I only discovered moments beforehand that the program was airing, thanks to Constance's Facebook post, and despite what the guide said, took a gamble and hit "record". Upon reviewing the tape later, happily, Zelda and Theodore did air in our borough. 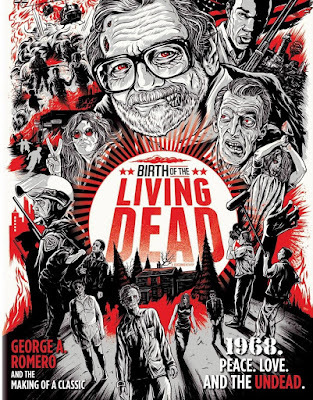 The decision to broadcast Birth of the Living Dead, the 2013 documentary about the making of the horror classic, Night of the Living Dead (a film that broke all the rules and made new ones), was a fitting way to eulogize its director, George A. Romero, who passed away last month. But for loyal OBC viewers, this film was also apropos, since Off Beat Cinema's first episode on Saturday, October 30, 1993, (just before Halloween) featured Night of the Living Dead. The Hungry Ear gang has continued to show that film every October since. Therefore, it was nice to see OBC members Zelda and Theodore talk about the film which launched the show (gasp!) over twenty years ago. I wasn't able to sit down and watch the program last night, but hope to view it very soon. It will seem like catching up with old friends. Now as then, OBC continues to be a surrogate friend over the TV waves.